We visited Ragunan Zoo (Jakarta, Indonesia) last Sunday. 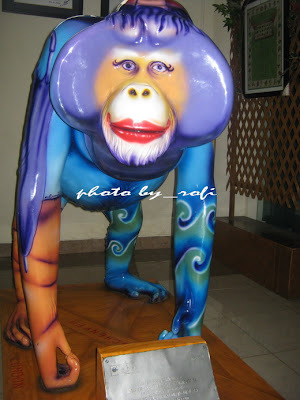 This zoo is so huge. Tough our feet were so sore, we had fun times there. I couldn’t complain more, as we can rent bikes, take a mini train or rent a horse-drawn buggy, but I still decided to walk. 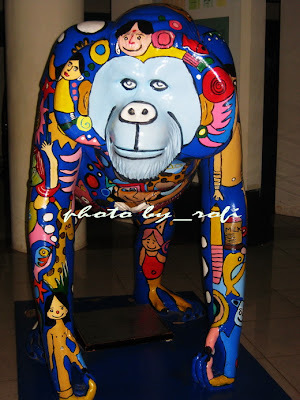 Ragunan Zoo entrance ticket is very cheap; no wonder is always full of visitors. 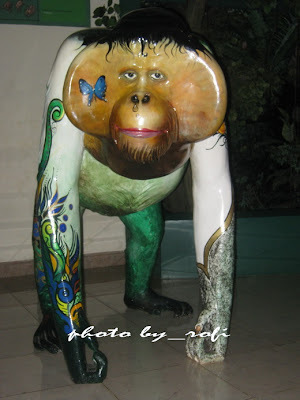 One of my favorite places inside is Pusat Primata Schmutzer (Schmutzer Primate Center). 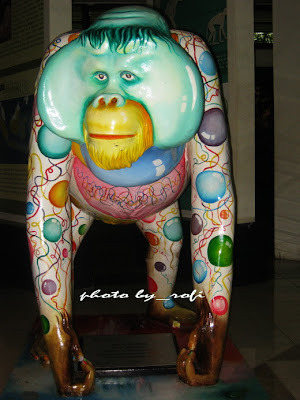 At the museum section, I saw attractive and colorful orangutan fiberglass statues that painted by different artists. I share some of them for Blue Monday. My husband took all the pictures. Which one is your favorite? I like them all.